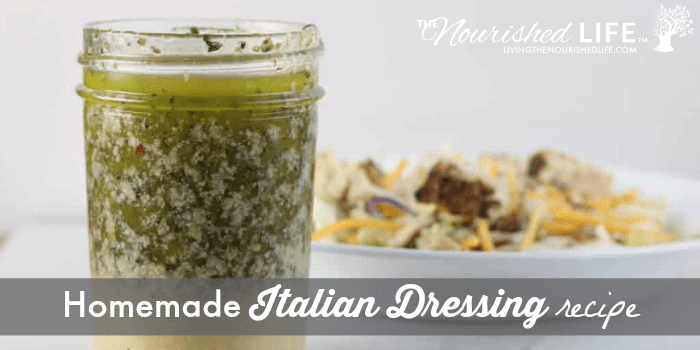 This homemade Italian dressing recipe can be used on salads, but I use it for so much more. 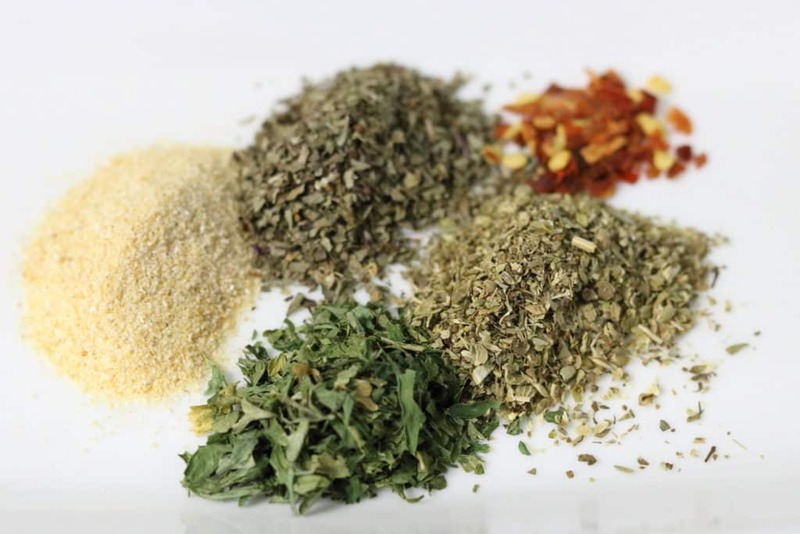 I also use it as a marinade for chicken or steak, and as a simple dressing for vegetable side dishes. So easy to make and so versatile! I use a lot of Italian dressing in the summer. We eat a lot of salads with the vegetables we grow in our garden, and I use it to marinate meat. Just tonight, we had grilled chicken marinated in this homemade Italian dressing mix. I used to buy the little packets to save on my grocery bill, but they have preservatives and not so fresh ingredients. Then I found out just how simple it is to make homemade Italian dressing, so now I just make it from scratch. I also use this Italian dressing as a simple dressing for vegetable side dishes. I cut up cucumber, tomatoes, and onions and toss with this dressing. We eat it as a healthy light side in the summer. This is best with cucumbers and tomatoes fresh from the garden. Yum! This is part of my series of homemade salad dressings. Don’t miss my Greek salad dressing recipe and my Caesar salad dressing recipe. Italian dressing is traditionally made with olive oil, but you can use other oils (Read more about finding good-quality olive oil here). All of these oils can be used if you’re using the dressing as just a dressing or over cold side dishes. If you’re using it to cook, a few of the oils don’t do well in high heat and are noted as such. Avocado oil is similar to olive oil in that it is high in vitamin E. The oil has been shown to be a natural anti-inflammatory. It has a low smoking point, so it’s best not to use it if you’ll be cooking with the dressing. Flax oil has a fatty acid, alpha-linolenic acid, that our bodies turn into EPA and DHA. It also has several minerals that we need like zinc, potassium, and magnesium. It does have a lot melting point, so don’t use it if you’re cooking with the dressing. Grapeseed oil is a great oil to use if you’re using this as a marinade because it has a high smoking point. It has a light flavor that won’t alter the taste of the dressing. Sesame oil is a good antioxidant oil. It has a high smoking point, so you can cook with the dressing. Sunflower oil is high in vitamin E, an antioxidant. It cooks well, so it can be used for cooking and as a dressing. Walnut oil is high in several minerals like phosphorus, copper, magnesium, zinc, selenium, and potassium. The oil can have a nutty flavor, so I would recommend mixing it with another oil if you use it in this recipe. It also turns bitter when cooked, so I don’t recommend using it as a marinade. You can also combine oils. Avocado oil tends to be a more expensive oil, but you can mix it with olive oil or sunflower oil for this recipe. This homemade Italian dressing recipe calls for white wine vinegar. You can also red wine vinegar or regular distilled vinegar. Distilled vinegar is more acidic than white wine vinegar, but it will work in this recipe. Pour all ingredients into a mason jar. Cap with a lid. Shake well. 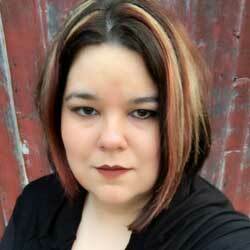 You can blend in a blender for a smoother dressing. I do not bother because it doesn’t really affect the taste. Taste the dressing. Add additional garlic salt and pepper as desired. 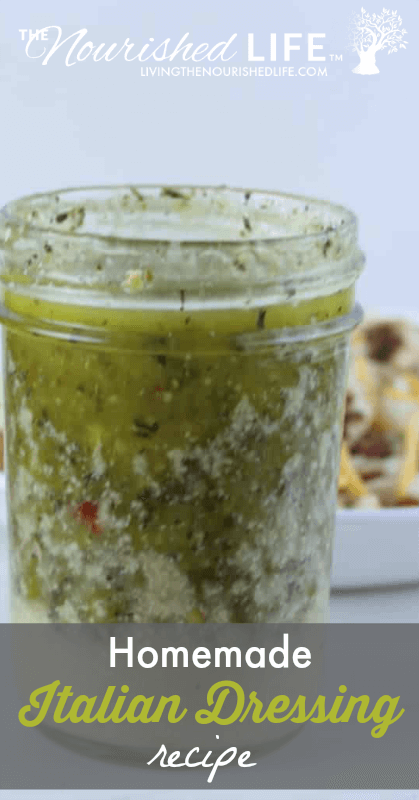 Store your homemade Italian dressing in the refrigerator until ready to use. This will separate, so you will have to shake it before using. You can add sugar or honey to this recipe. Honey will cut down on the acidity, which can alter the taste a little bit. 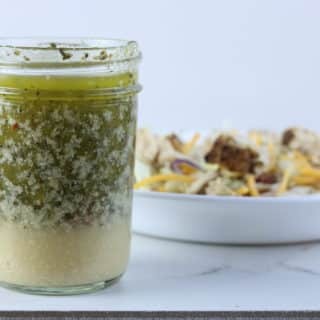 This Italian dressing tastes better after the flavors get a chance to mix and mingle. Make it at least an hour before you want to use it. Store up to a week in the fridge. For best taste, allow your homemade Italian dressing to come to room temperature before serving.